A plan to fix the pipes — which connect the cooling tower on top of a building along Connecticut Avenue to the chiller plant that pumps the cold water through pipes in stations to lower temperatures in the summer — has not moved forward because a solicitation last year failed to lead to a contract. WASHINGTON — Metro will likely need to use a temporary cooling fix again this summer at Farragut North and Dupont Circle after efforts to repair leaky pipes that kept riders sweating for years had to be put off. “This is a complex project that we have to design and bid and build, so that’s what we’re doing,” General Manager Paul Wiedefeld said. Metro records show two companies appeared for an initial meeting in September about plans to repair the pipes and add redundancy in time for this summer, but no contract was ever awarded. Metro estimated the work would cost between $1.5 million and $5 million. There is no current contract proposal available for bids but Wiedefeld said design work for fixes, or alternatives, continues. “What we want to do is maintain the condition as best we can, and if it’s temporary another year, then we may have to do that,” Wiedefeld said. Last summer, years after the pipes at Farragut North and Dupont Circle first broke down, Metro installed a temporary cooling tower at street-level in what is usually a loading zone on Connecticut Ave.
Metro’s 48 chillers, connected to 30 chiller plants with water cooling towers, are typically active from mid-May until around October. The systems keep underground stations a few degrees cooler than the temperature outside on a hot summer day. Unlike air conditioning, the systems do not set a specific temperature in the cavernous stations. The cooling towers and chillers at Farragut West, Georgia Ave. and Glenmont are now being replaced under a $3.6 million contract awarded last fall. The goal is to have all of those replaced by summer. Bids are due this week for a separate chiller water treatment and monitoring contract. Under that plan, remote monitoring of the water quality would allow for real time, remotely controlled adjustments to deal with any chemical imbalances. The contractor would also test for Legionnaires’ disease bacteria. 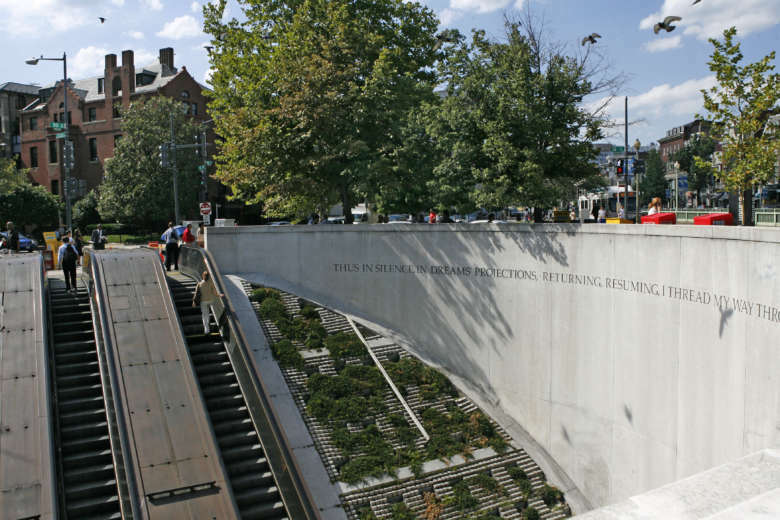 In some cases like Farragut North and Dupont Circle, the chiller systems are original and are more than 40-years-old.